Aikido’s kotegaeshi wrist-turn technique under the microscope. A few years ago, Stanley Pranin uploaded a video detailing a common problem seen in the execution of kotegaeshi techniques. 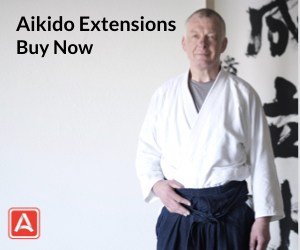 This video engendered many comments on Facebook and the Aikido Journal blog site. 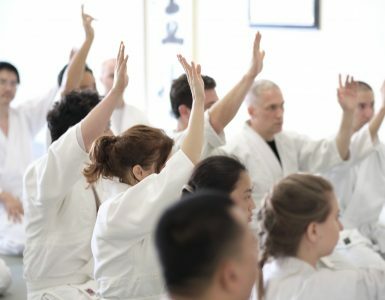 Here are three videos linked by participants in the discussion that illustrate solutions to the kotegaeshi problem, the first by Hitohiro Saito Sensei, the second by Christian Tissier Sensei, and the third by Tsutomu Chida Sensei. Patrick Augé: In jiyû randori (freestyle) where kaeshi waza and resistance are expected from a commited Uke, two common situations may occur: 1- Uke follows Tori and lands in front of him following up with a footsweep, a strike or a sutemi waza. When Tori feels this happening, he will place an atemi in Uke’s face with his two hands in kotegaeshi position and continue with the technique; 2- Uke hardly moves, his weight is on his heels, his arm aligned with his shoulders, Tori is placed in his blindspot and applies kotegaeshi. There is no perfect way as one discovers through the practice of jiyû randori. Every partner is different and we have to constantly review and polish our techniques. Please continue to question the value of what we tend to take for granted. John: I like the methods you’ve shown. Kawahara Sensei had two types of practices for kotegaeshi that helped me: There would be a Suwari Waza practice with no leg work, with the goal of controlling Uke without body movement using their wrists to control their spine, hip and shoulders. This practice was done very slowly, to look for holes. The second practice I think he considered more advanced. Nage grabbed Uke by the sleeve, where there was no hope of controlling uke by a lock. Whether or not Uke could strike or fell at all was completely dependent on body movement, flow and timing. 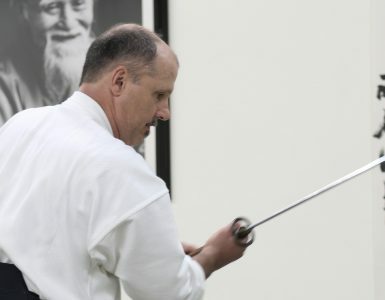 Paul Araki-Metcalfe: Hi Stanley, I have seen this all over the world, from beginners to Shihan. Do you know the fable ‘The king with no clothes”? I believe it has a lot to do with your next grade. Co-operative uke are quickly promoted. Unco-operative uke, or ones who show the faults of nage, do not get promoted fast. Therefore everyone in the Dojo or organisation picks up on that rather quickly. Suddenly, everyone is doing it incorrect martially, but correct if you want to rise through the ranks. I doubt that it will change, as the people in charge would have to admit that they were wrong. Sadly, whenever anyone points out the glaring truth, they are chastised and usually thrown out. I just work at improving myself, my techniques, and showing my students the pitfalls of blindly following what other do. James Dempster: Totally agree Stanley. I try to get my students to take uke’s balance towards the outside of uke’s leading foot before attempting this technique. This surprises a lot of people. But makes the ‘street’ application so much easier and effective I feel. Milos Jovanovic: Very nice observation. There is another way of breaking Uke balance before making the kotegaeshi throw. Before making kotegaeshi, in position where your left hand is around the Uke’ wrist and right on his hand, make seesaw (your left hand down-right up). This will also unbalance Uke. Mark DeFillo: This is excellent. I just watched the kotegaeshi section of a DVD of Ueshiba Moriteru Doshu; to my inexpert eye, he appears to avoid creating the opening by unbalancing and downing uke before the latter swings back around into the vulnerable zone. Paying particular attention to the footwork, I see that in each example presented, uke’s feet are still in a position keeping him unable to reach nage, when he is downed. 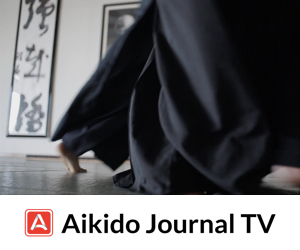 In Pranin Sensei’s video here, the same footwork situation is in place in the first example (nage keeping his center low to prevent uke from turning); in the two atemi examples, it looks like the atemis arrest a potential turn as it starts. I’m not experienced enough to be able to tell whether Doshu’s technique hinges on timing or if something else in his technique keeps uke from turning back into a threatening position. It’s important in budo to be able to analyze both the actions of others and ourselves; thank you to Pranin Sensei for bringing out this major point to look out for. I’m reminded of Saito Sensei explaining (in seminar footage) the importance of avoiding a similar opening when doing tai-no-henko. James Dempster: I tend to agree Stanley, a powerful atemi will assist but ask yourself. How does this look to a jury when replayed on CCTV / mobile footage etc etc….I tend to agree with your view, certainly for modern street Aiki, which is different to traditional budo, in many ways. Joe Mchugh: In the moment that uke turns he reaffirms his attack intention, perhaps at the moment of his turning you immediately apply kotegaeshi, taking the energy of his continued attack. if you wait until he has established his center again after turning. Then I agree Tori is in difficulty. 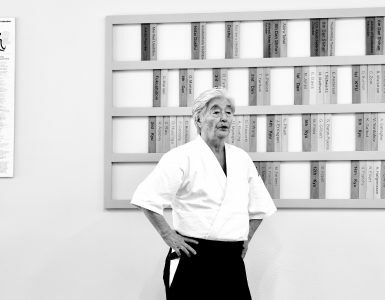 Russell Jacobson: Thank you, Stanley Pranin Sensei. This has long been a pet peeve of mine and you addressed it very nicely. I also step out of the “zone”, as in a ura technique of kotegaeshi. For an omote version I like to drop them on their front corner (no opportunity for them to turn into a counter attack). Sort of difficult to describe but I think you get my meaning. Happy training! Perry Ivy: The other method is to keep unbending arm on the tenkan, if you do so you will keep their arm, shoulder and back bent. Jason Ramsay: I find success in keeping it low and not giving balance back to uke, also cut like a sword and uke has no chance, I mean really cut like it’s a sword. I’ve always emphasized the timing of kotegaeshi – throwing on the halfbeat at a point where uke is not settled on two feet. Yes, I know exactly what you’re talking about. Timing is always essential, but I like to keep the 3 main classic “checks” alive: extension, centering and proper distance. These videos express the 3 very clearly. So I teach with focus on the 3 main checks/principles that haven’t failed me. I do not go for the wrist or hand, but put my weight on the elbow as I dodge. I get excellent Kuzushi. If Uke withdraws as in Karate, it still works because my Tegatana is on her or his elbow. Then move to the blind spot (the zone Stan that you talk about) , then do Kote Gaeshi. Easy and works very well for me. There is no spinning Uke as Uke is pushed down initially on his feet that are stuck to the ground, unable to move at all. When entering with irimi senkai (tenkan) one should step directly in front of Uke’s front foot (in the case of an oizuki attack), deflect and firmly trap his attacking arm into one’s armpit, thus rendering it impossible for him to retract it (hikite). This allows Tori to induce kuzushi at the moment of contact (it is essential in the case of an Uke who attacks without leaning forward), accelerate throughout the sabaki and complete the kake part of his technique with maximum acceleration. In this case, timing is more important than speed. The heavier Uke is as compared to Tori, the more time it takes to unbalance him. Thus the application of the principle of maximum efficiency is essential. Technical mastery requires the ablity to perform at any speed. The principle of kuzushi-sabaki-kake must be respected as a foundation before speaking of ki, love, etc. What we see in many instances is an Uke who attacks leaning forward and without focus, while Tori jumps sideways away from the attacking hand into the taisabaki, thus starting kuzushi at the end of the taisabaki, then finally complete the kake with force since the sabaki was decelerating. Another important point is proper placement of the feet before moving our body in order to eliminate mat friction (waste of energy) and accelerate throughout our movement. I like, in general, to start with atemi to uke’s temple. This normally and ideally allows the forearm to drop into the junction of the deltoid and tricep as the back knuckle atemi is recovered. That provides good leverage to momentarily inhibit uke turning. From there it is easy to pivot your arm to pick up the kotegaeshi hand hold as you pivot your stance. At the moment of the pivot it is also often possible to have your forearm between you uke, just in case they had the wild notion to jab with their elbow. 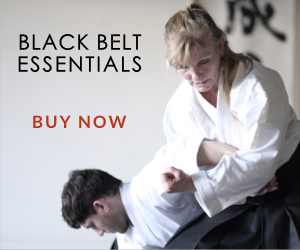 The leverage between your grip on their hand, your forearm along theirs and your elbow on their elbow might allow kokyu nage, but certainly provides a basis to unbalance them. There are a number of aspects to the transition between forward and rear movement, but I don’t like to get my hand in front of me, rather keeping my hand extended in the vicinity of my front foot and aligned with my hanmi. For the throw I prefer to roll the hand up from the little finger as contrasted to putting pressure against the locked wrist. Now, this is all very “kihon”. In motion my ideals often deteriorate, but I keep working on it. I think the translator of the third video above (it looked Yoshinkan) might have made a mistake. I have read Shioda Sensei and his students advocated turning to 120 instead of 180, and I read a quote once that advocated 45 degrees off of Uke’s rear (I guess about 135). The teacher is very impressive and powerful, but I don’t see a 180 degree opening movement that the translator says to do. This additional space created by moving away while turning can make a big difference in Uke’s opportunities and in kuzushi. I have also seen Y. Yamada Sensei show 90 degrees initially, or a series of 45 degree movements. Saotome Sensei showed a 360 degree opening once. I see a lot of versions in tai sabaki in the higher ranks. If a student wants to have a good kotegaeshi, then pulling out the compass and protractor is absolutely the wrong thing to do – a million variables need to be compensated for, and that means looking at how Uke moves and how the technique feels. We tend to default to the version that fits best in a crowded mat (most linear) but this doesn’t aid kuzushi or control. This is as much a comment on how Tai no Henka is taught as it is about Kotegaeshi. I like to try other angles and timing just to see the end result in Uke’s posture. 180 is often a little weaker for me. Some very good points above, and a good discussion. Thank you. In the first video published on this, there is a short clip of Ueshiba doing kotegaeshi. He is in the danger zone. Or do I miss something? With kotegaeshi I have found it helpful to de-emphasize the importance of wrist and focus rather on kotegaeshi as another form of Sumiotoshi (corner drop) in which the uke’s arm is taken to their rear corner – as Stan and Hitohiro Saito demonstarted in the film clips. If both uke’s arm and nage are not in the rear corner position with uke’s arm radically mis-aligned away from his center – the technique can easily be resisted by all but the most compliant or acrobatic partners. The wrist can be a convenient contact point but wrist pain rarely makes up for the weak positioning so often seen in aikido demonstartions. 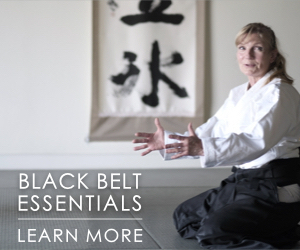 The effectiveness of kotegaeshi comes from breaking uke’s center to one side and forward. The danger, as shown in Hitohiro and Tissier’s videos, is the immediate and tight wrist-turn outward, which forces the uke to throw himself/herself toward that tight, outward direction to avoid wrist-break and pain. The two video demonstrations looked quite irresponsible, if I may say so. Obviously, a kohai who resists or is unfamiliar with the voluntary self-throw insures a painful wrist injury and possibly even a permanent break on the radio-ulna bones. The solution, which my students practiced effectively for the past 30 years, is directing — or re-directing — that crucial wrist-turn towards the uke’s heart or sternum area in both omotewaza or urawaza mode. The alternate and and equally effective and merciful versions are (1) the wide ura turn clipping only the wrist and pulling the uke off hanmi or (2) scooping the elbow down. Also, (3) where wrist-turning is involved, that wrist must be taken no further than the full-slack, after which the twist or control is achieved only on the fingers. Distinguish this, if you please, from the shorinji-kempo style of sudden, loud, merciless snap on the wrist! Incidentally, the above kotegaeshi method, which I’ve practiced in my dojo after returning from Iwama, should be credited to Tohei Sensei’s earlier manual of instructions. I understand the problem. Uke’s free hand swinging around for a punch. I agree with a couple of the commentators so far. Use the half beat, and control the sumi-otoshi corner. Yet, I like to think in non-technical terms, the way leaves grow around the stem, each leaf 137 degrees from each other. I can turn my feet out that far, perhaps most people can, if they thought about it. Our partner then (uke) is like a leaf on the same stem. I should be somewhere where he can’t strike me, and that is by design. Where is it? Interesting sideline on this problem is the idea of turning back in to apply the wrist turn. Doesn’t that seem suicidal, given the likelihood of uke’s punch..? So, the question I would ask is why turn one way only to turn back in the other way, unless this was some pattern in nature.. Turns out, it might well be natural. Two spirals, one moving out, and another moving in.. The two sides need it other. One rises the other falls, at the same time.. This is really a general trouble you raise Stanley, or at least it can be seen this way. You are talking about an uncooperative uke, I.e. one who may punch you as they turn around. But they will need to know what you are doing, and be well versed in martial arts, particularly aikido or judo. But why only look there? An uncooperative uke, trained in aikido, may move as fast as you, in which case you will not break balance in the first place, as they will do their best to maintain some form of maai that is self protective for themselves, and will very likely match you completely, real harmony being established with the disharmonious one being the ‘loser’. Once you enter the world of the uncooperative uke (on purpose not from ignorance) you enter the world as Tomiki Shihan saw it, and everything changes. And this, then, opens up what is seen as a whole can-o-worms in many areas if aikido today. Ah, the eternal Kotegaeshi. Every martial arts movie has at least one execution of it against a knife or hand-gun attack. One of the more “streatsy” techniques of the art. All very valid points above! What I’d like to add has to do with the popular break-fall. It may look good on demonstrations, but really it is not possible if the technique is done tightly. See the video of Hitohira Sensei above or old films of O Sensei or Tada sensei! So there is a caveat here. Then there is the style where the hand of uke is curled back into his center. On a big attacker with strong wrists that will not work. Only a “trained” uke will allow his hand to be manipulated that way. Same with tori turning back in front of uke. If the attacking hand is armed you’ll run straight into the weapon. Like Augé sensei says above: Keep studying it! Thanks for altering us though!